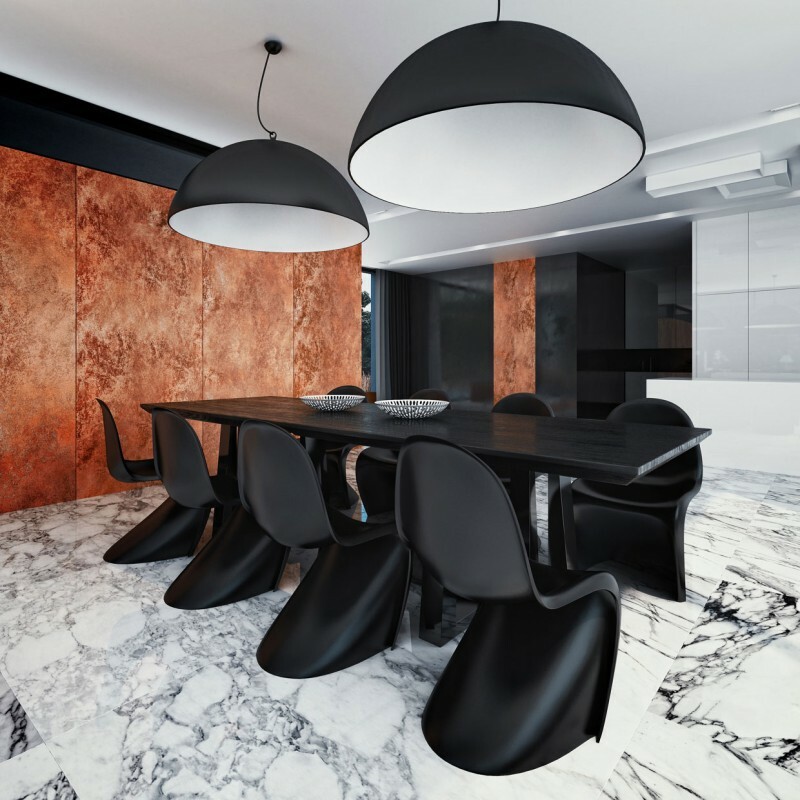 Black&White is a contemporary home project by STUDIO.O. organic design collaborate with Michal Nowak as the interior and exterior designer. Luxuriant garden in tidy arrangement surround this house for balancing its plain white wall. 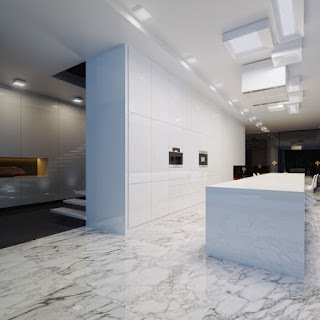 The architect deliberately installs glass wall widely on the upper wall, and floor to ceiling glass wall installation on the ground floor to give wide feeling and support the open concept with beautiful garden view. 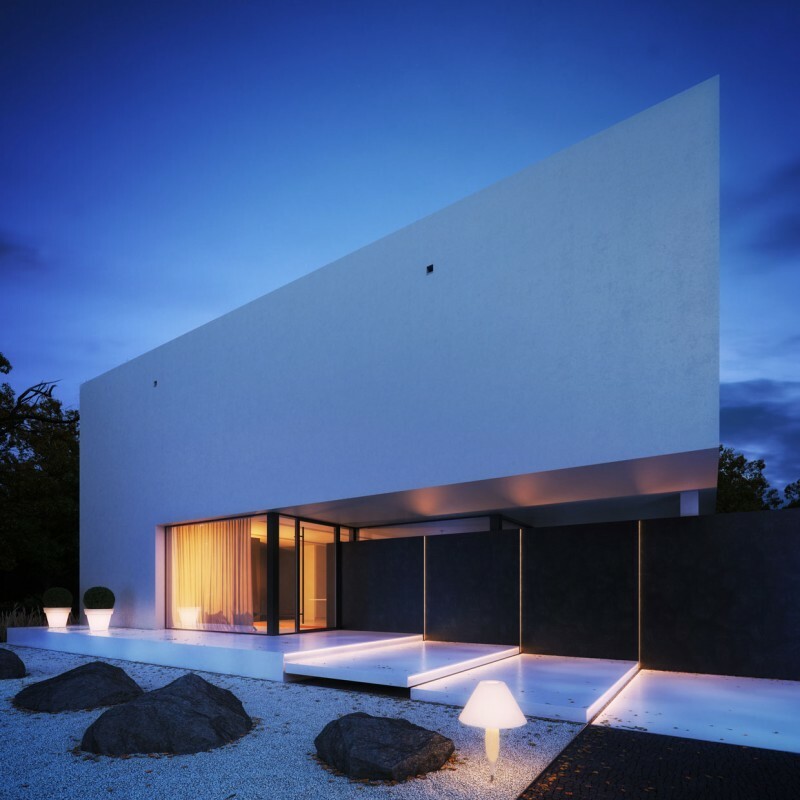 This house also apply dark stone wall on the exterior of the ground floor that harmoniously balances the bright white wall. Luxury is the point of this house. 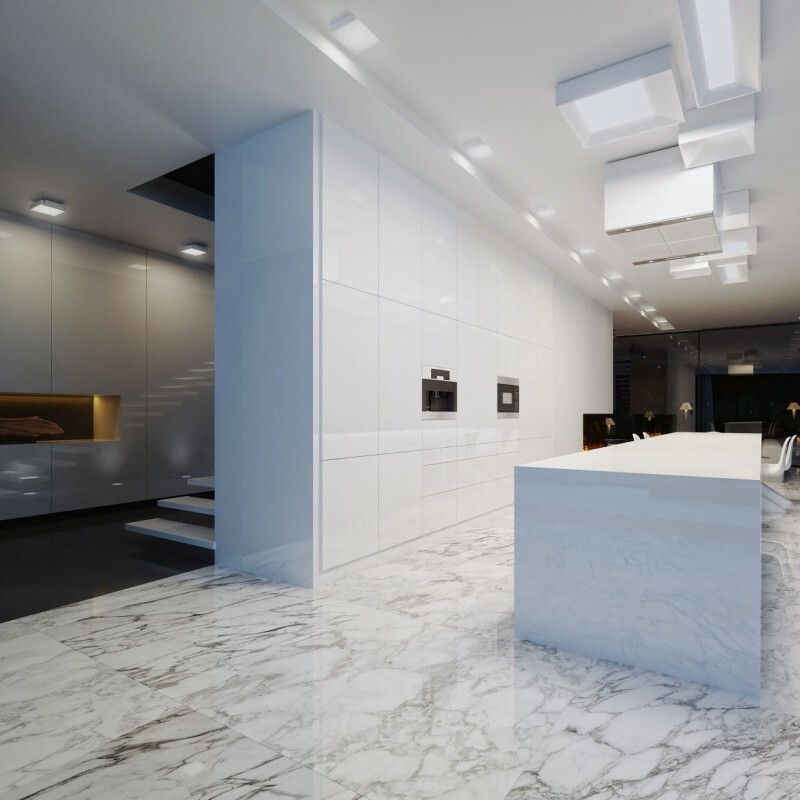 And that’s why black and white marble floorings cover up this contemporary home design both inside and outside the building. It even has an outdoor terrace beside the garden with marble floor and a lengthwise black pond obscure the terrace below the building to an open terrace with fireplace on garden. Black personal wings, white cushions, and black rattan webbing with white cushioned sofas decorate the terraces harmoniously with its black and white theme. Black and white nuance fill entire the house. 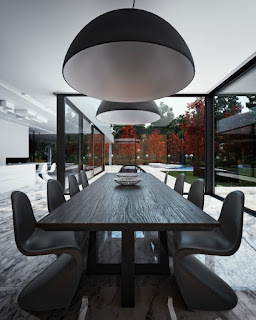 Glass walls cover the kitchen inside with white bar and white curve chairs and white square ceiling lamps above but in the other side, black solid wooden dining table with black curve chairs around decorate the dining room with harmonious a la Scandinavia bowl shape black hanging lamps above with bronze sandstone wall side. The same sandstone elements apply in the living room with long grey sectional sofas around and overlook to a black modern fireplace inside the wall beside another family room with glossy black floor and black sofas below the stairs. Those black and white combinations could be your inspiring contemporary interior home design ideas that will romantically decorate the entire house with the placement of candle lightings inside glasses at several points and the luminous garden lamps outside and also the lighting that is set on the stair steps.